Here are the recipes of some of the tasty and traditionally prepared 'Appam' for all the malayalees. Try it to know how special is the dishes of Kerala and how they are prepared to their best. All its ingredients and methods revealed. 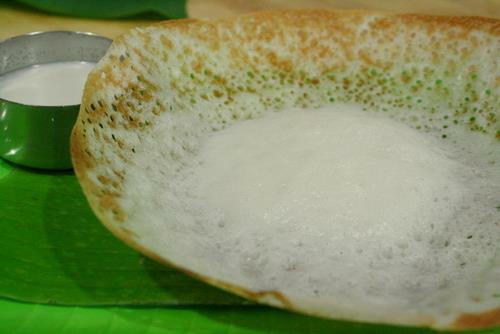 Appam is one of the most tastier and special recipe which is native to the ‘Gods own country’ – Kerala. 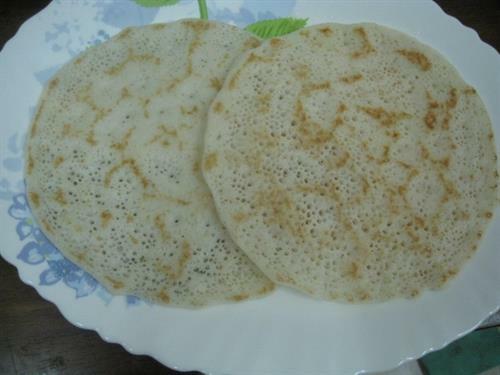 There are different sorts of ‘appam’ recipes which can be made with ease. Just imagine how wonderful it would be if we have these hot appam along with some tasty curry of our wish. It’s sure that your mouth will start watering when you just finish these recipes. Then why are you waiting for, standup and make some delicious food that no one can ever forget in their life. The tips for the preparation of pal appam, vatta appam and vella appam are revealed here. Choose your favorite one and start cooking now itself. Wash and soak the rice then, drain and allow it to dry for a little while. Now pound it well and start roasting it slightly. When it is almost ready sieve it through a fine sieve. Add 1 cup full water to it after removing all the coarser powder that remains on the sieve. Cook it all together till it becomes tender. Now add toddy and sugar to it and knead it well. The mixture should be of a thick batter consistency and leave it overnight. Next morning, grind the coconut into a fine paste with cumin and garlic if used. Mix it with the batter and add salt to taste. Set the content aside for almost 1 hour. Heat griddle well and after that, pour the mixture in a vessel and spread till about 7.5 to 10cm (3" to 4") in diameter and 0.7cm (1/4") thick. When one side is done turn over and bake the second side. When it is ready, serve it with fried meat or meat curry. Note: Half a teaspoon of granulated yeast may be used instead of toddy in which mix yeast with a cup of lukewarm water and sugar. Allow it to work for about half an hour before adding to the flour. Roast rice flour lightly without addition of fat in a deep vessel. Add 200 ml of water to the coarse rice flour and cook to porridge consistency. Add this and toddy to the rice flour and knead to soft dough. Leave it overnight to ferment. Grate coconut and prepare 150 ml coconut milk (3/5th of a standard cup). Add the coconut milk, sugar and salt to the rice flour dough. Cover and let it stand. Pour a spoonful of batter in a thick iron pan (well seasoned). Set this for a minute and then take the pan with both hands. Now give it a circular twist till about 1cm. A crisp brown boarder is formed when the hopper is baked. Inside part of the hopper pan should not be washed but greased with a mixture of melted butter gingelly oil (sesame oil). If the hopper sticks to the pan, fry an egg in the pan and remove it to tie in soft rag. Use oil to grease the pan by rubbing it on the pan. Now your pal appam is ready to be served with chicken stew or other curries.